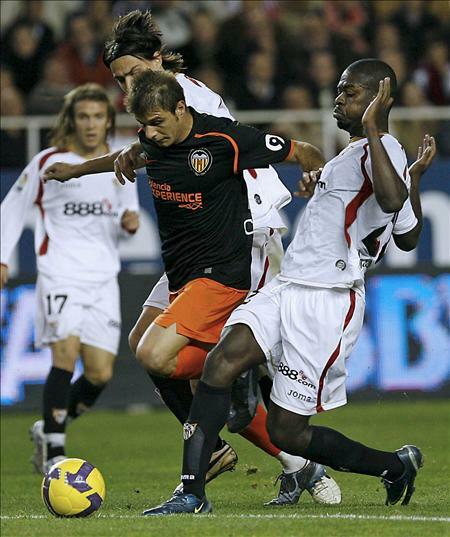 Valencia CF has had a rough two weeks with two painful and demoralizing losses. Loosing to Schalke 04 in the champions league was taken very bad by the players and it showed in the next match against Real Zaragoza where Valencia CF were trashed 4-0 by the relegation threatened Zaragoza. That match was probably the worst match this season and the players need to forget it and continue on with the fight for 3rd place finish. The first opportunity to bounce back is against Sevilla, a very dangerous opponent and one that has caused Valencia CF troubles on the tables a lot of times, a old rival you can say. While Valencia CF have a good historical record against Sevilla at home this is a dangerous time to be facing Sevilla after two rough weeks. 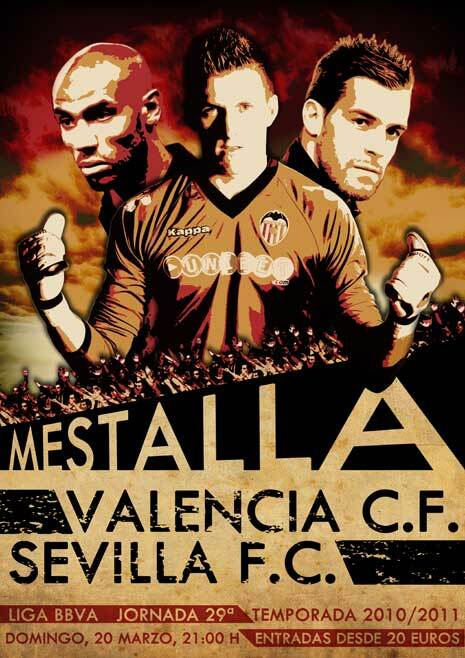 Right now we may just hope the players have recovered and are motivated and ready to play Sevilla and beat them. Valencia has some negative news as David Albelda has suffered another injury in training and Maduro continues to struggle with his injury as well and both won't be available for the next match. Stankevicious is suspended to due his red card against Zaragoza. Defense: Bruno, David Navarro, Ricardo Costa, Dealbert, Jordi Alba, Mathieu. Midfield: Topal, Tino Costa, Éver, Joaquín, Pablo, Vicente. Attack: Mata, Jonas, Aduriz, Soldado. Sevilla FC on the other hand have been for the most part of the season in terrible form and their results have been from mediocre to downright bad. Their biggest problem this season has been the defense, while they are able to score goals and are dangerous on the attack, especially on the flanks, they tend to receive goals pretty easily. Their coach Manzano has so far been unable to find the perfect pairing of center backs and there has been problems and accusations of players that the coach favors a set of players and chooses them even if they don't perform good. In recent weeks though it seems that the team has been getting better and there is more collectivism and friendship in their camp. 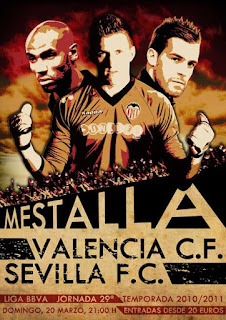 Is this just a calm before the storm where they all get on each others throats is unclear at this point, but what is certain is that Valencia CF need to be at their best game if they are to beat Sevilla. Sevilla's last three matches have been all over, from a 3-0 win against Sporting, to a loss to Bilbao and last week a surprise draw with Barcelona.